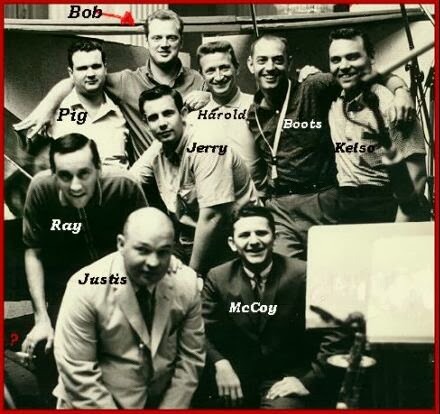 Bobby Owsinski's Big Picture Music Production Blog: A Visit With Nashville's "A Team"
Those in the know about the studio business of the past frequently talk about studio bands like LA's Wrecking Crew and Detroit's Funk Brothers with great reverence, as well they should. These were some great musicians who were responsible for the soundtracks of our lives, even today to some degree. A studio band frequently overlooked in the conversation is Nashville's "A Team," a group of musicians who made the sound of country music what it was in the 50s through the 70s. Here's a great video of the 5 remaining members (guitarist Harold Bradley, guitarist Ray Edenton, multi-instrumentalist Charlie McCoy, bassist Bob Moore, and keyboardist Hargus "Pig" Robbins) during a photo shoot at the end of 2013. The shoot was at the famous RCA Studio B and the band discusses recording with Dolly Parton, Willie Nelson, and Bob Dylan, among other things. It's a Joy to hear these Masters esp their emphasis of... real listening. Thanks for including them in your blog.